Cryptocurrency is a type of digital asset which can be used to exchange value between parties. It uses strong cryptography to secure financial transactions and to control the creation of new units of that currency and verify the transfer of assets. It doesn't exist physically. Unlike the government currencies like a fiat currency such as Dollar, Yen or the Yuan, all of these currencies are printed by a government. So, there is a centralized institution exists which create thousands or millions or billions more of that currency. With a cryptocurrency like bitcoin, these are actually created by the same mathematical formulas that make the cryptocurrency work. So cryptocurrencies used decentralized control which works through distributed ledger technology that serves as a public financial transaction database. Today, many different types of cryptocurrencies are available. Some of them are given below. Bitcoin is generally considered the first decentralized cryptocurrencies. It is created by the network of thousands of specific nodes called miners. These miners are able to process the bitcoin transactions in the blockchain network. Since the release of bitcoin, more than 4000 alternative variants of bitcoin have been created. 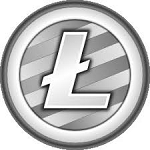 Litecoin cryptocurrency worked very similar to Bitcoin. As we know, bitcoin wait 10 minutes for a transaction block to be processed, Litecoin actually does it in about two and a half minutes. Litecoin doesn't have a big market cap. The price of Litecoin is lower than Bitcoin, but it's a very effective process and has some variations from Bitcoin. 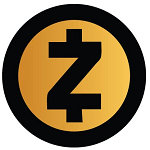 Z-Cash is a privacy-protecting digital currency built-on strong science in cryptography. It provides enhanced privacy for its users compared to other cryptocurrencies such as bitcoin. Here, transaction data is kept confidential. This is made possible through zero-knowledge proofs. This allows transactions to be verified without any information about the sender, receiver, and the amount transacted. 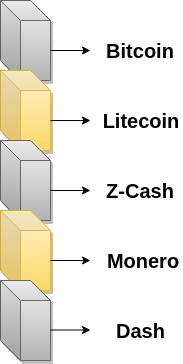 Z-Cash features known as 'viewing keys' and 'payment disclosure' makes it possible to disclose some of the user's transaction data. This makes transactions on Z-Cash auditable and regulation-compliant. Monero is an open source cryptocurrency which focuses on being untraceable, privacy and decentralization. It is secure digital cash which is operated by a network of users. It can be used to buy and sell things and can be exchanged for other coins or tokens. Monero uses a special kind of cryptography to ensure that all of its transactions remain 100% unlinkable and untraceable. Monero cryptocurrency focused on anonymity which is harder to track whereas Bitcoin is pseudonymous, its transactions are still traceable. 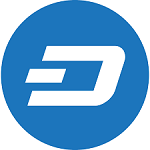 Dash is a short form of Digital Cash. It is an open source cryptocurrency and is a form of a decentralized autonomous organization that is run by a subset of users, called master nodes. It is one of the most promising alternative coins to bitcoin. It permits very fast transactions which are untraceable.